We’ve all seen the need for tradesman splashed across headlines, especially in our Valley, but there is a new, emerging need in the workforce- information technology professionals. Businesses say they need IT and technology professionals. IT is no longer synonymous with large cities, but small communities as well. Budgeting for IT is new territory for small businesses within these communities. Look at our own government. In the past four years, the IT budget for each department of the federal government has steadily rose. Businesses should take note. Protecting data and increasing productivity are just a few reasons IT should be taken seriously. The rise of cyber-crime has been a catalyst in the rise of training technology professionals that specialize in the crime space. On a national level, universities are taking note and adding IT programs to their curriculum. Closer to home, Colorado Mountain College has beefed up Information Technology programs at several locations, including Glenwood Springs. At All Mountain Technologies, we have already had our own qualms when it comes to hiring future, qualified technicians. Finding qualified local talent that wants to make the Valley a permanent home is hard to come by. IT careers run across a broad spectrum from developers who create software applications and heavy equipment to people versed in user support. It is an evolving industry and the need will only grow in the years to come. We have drones in the air, we have virtual reality in our homes, we are working on AI. Let’s face it… technology is cool. Exposing younger generations to technology as a future career will help foster talent and prepare them for what’s to come. What may start as an affinity for computers may evolve into a lucrative career. High school curriculum embraces tech in a whole new way than we’ve seen before such as offering coding classes for students. There are introductory certificates for IT professionals and more defined routes for certain segments of the industry such as cybersecurity. Don’t forget communication skills!! Our technicians work closely with people ALL day- either on the phone or on-site solving issues. You should be able to explain things over the phone as well. Good phone etiquette helps. You must be a team player. Collaboration in IT is huge. At AMT we have a team of technicians and each one has a different area of expertise. We have a baseline of knowledge, but each technician has years of experience in a certain industry, like hospitality, or has more knowledge in a specific tech space, like wiring. The more well-rounded your team is, the easier it is to solve a tough issue. You essentially have a technology soundboard at your fingertips. All Mountain Technologies is the leading Managed Service IT Provider in the Vail Area, working with small to mid-sized businesses to manage and support their IT needs since 2003. 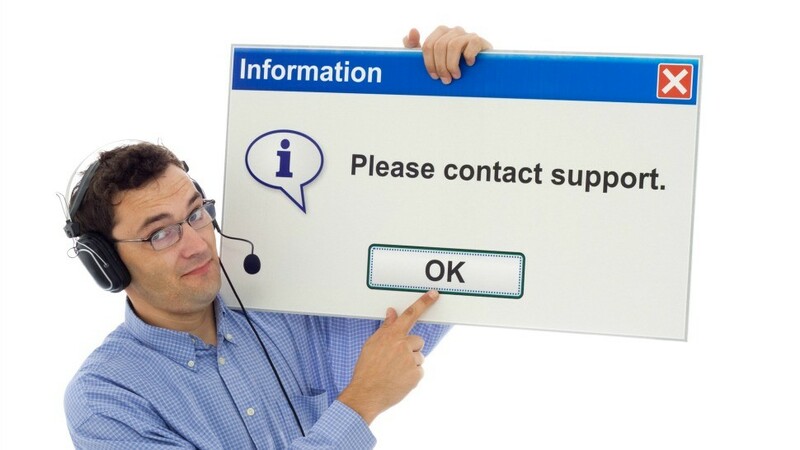 For more information regarding IT support for your business, please contact Allie Yazel at ayazel@allmtntech.com.